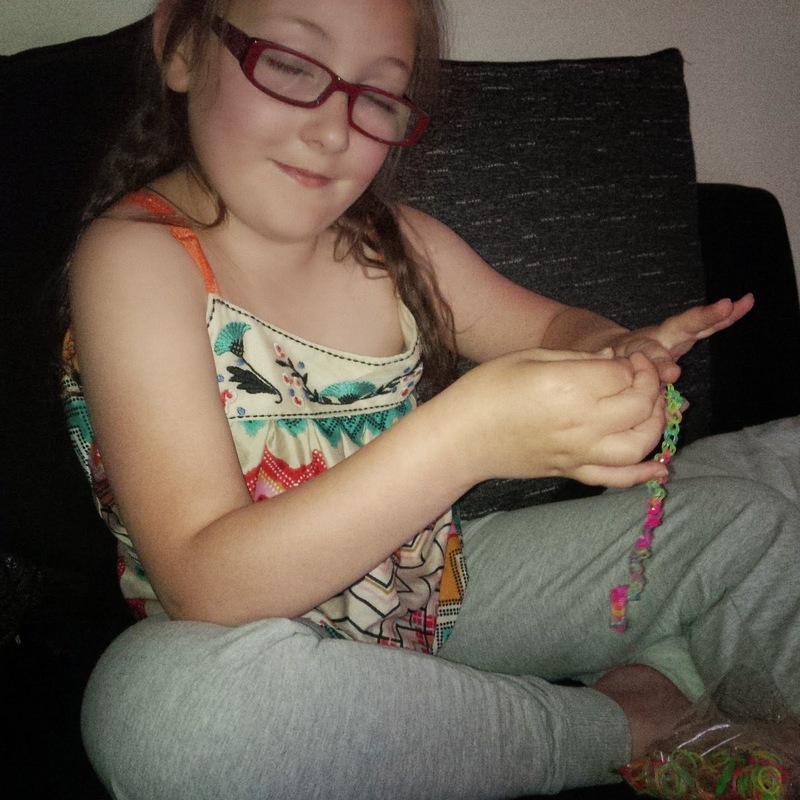 Olivia is still very much into the the latest craze of Loom Bands. We have them everywhere with them currently being stored in various tubs around the house. Think it is about time we invested in a proper storage box for them all. I love that she has a new hobby. They are cheap to buy and keep her supplies stocked up, god help me if we run low! 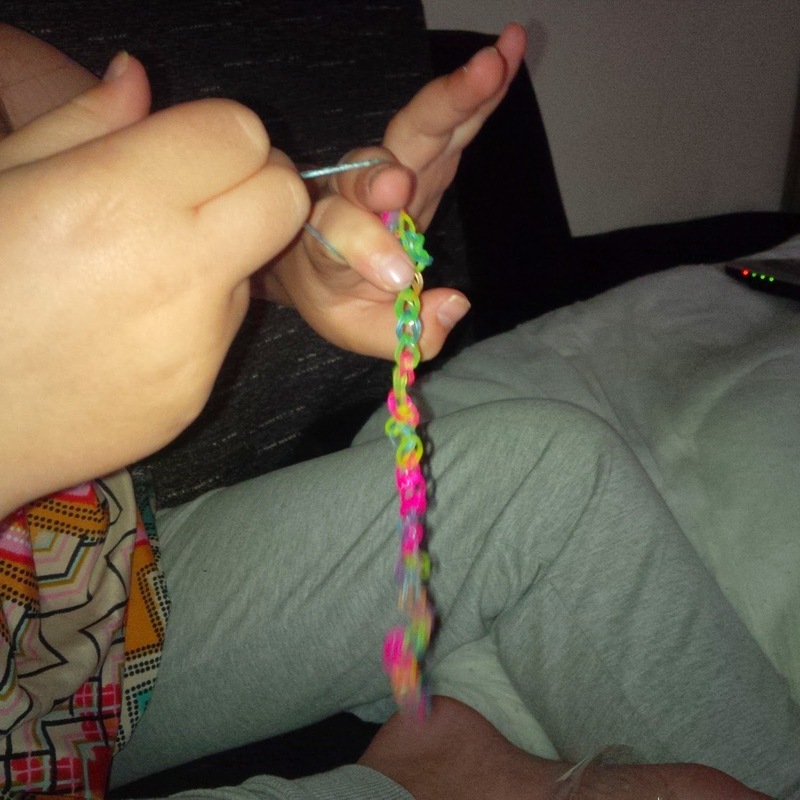 It keeps her busy and quiet for ages and is really fun to do. She is currently watching videos on you tube learning new ways to to make different things. A boy in her class has apparently just made an iPhone case complete with cut out bit for the camera she told me how amazing is that! Well I’m impressed anyway, an iPhone case made out of little elastic bands. I did get a bit worried about the fact that they seemed to be cutting off circulation to her fingers but she now has a board to make new and different designs on even though she still prefers her fingers. I cant wait to see her trying something new as we have plenty of bracelets, necklaces, keyrings and rings to keep us going for a while. It is nice to see her getting so involved in something, learning new skills and having fun. What I don’t like is finding these little coloured bands everywhere and I mean everywhere! 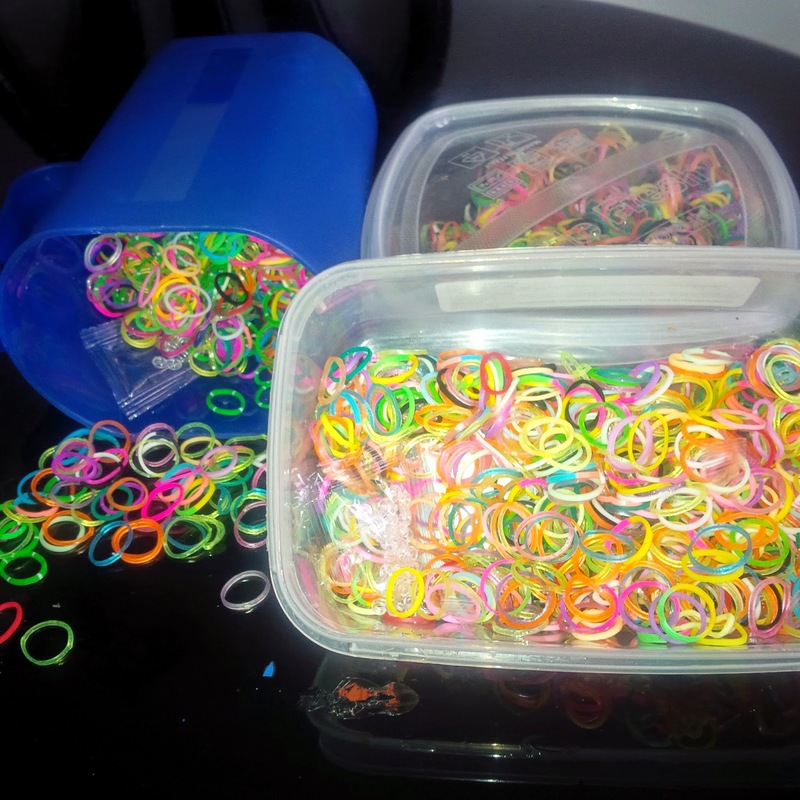 Every where I look loom bands.On the floor, under the sofa cushions, in the toilet! Absolutely everywhere they shouldn’t be including my bed! 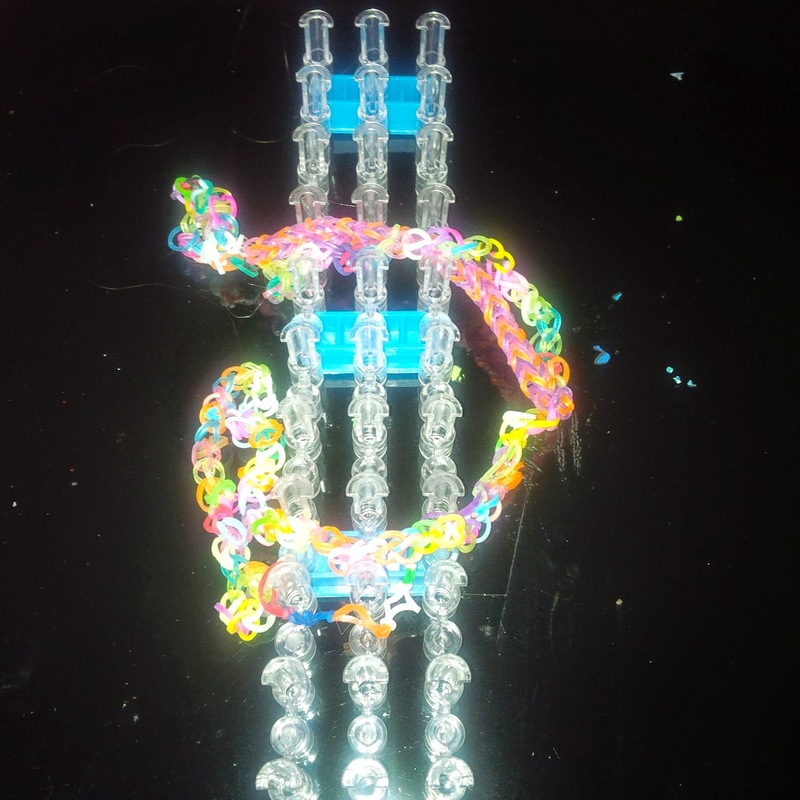 These things are like glitter no matter how much you clean them away they still end up all over the house and they are driving me mad, its starting to look like they looms are taking over the house I am living in a world of coloured bands. My daughter loves this just now!